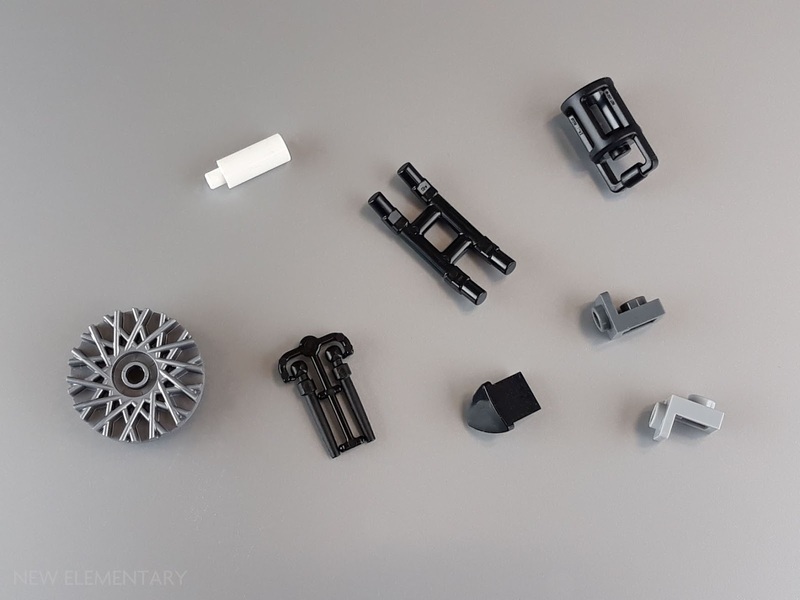 Sven Franic examines the unusual and interesting new turntable pieces that come in new LEGO® Ninjago sets like 70670 Monastery of Spinjitzu. We don't often get younger age group LEGO playsets to pick apart here at New Elementary, which makes it easy to overlook some cool new parts. 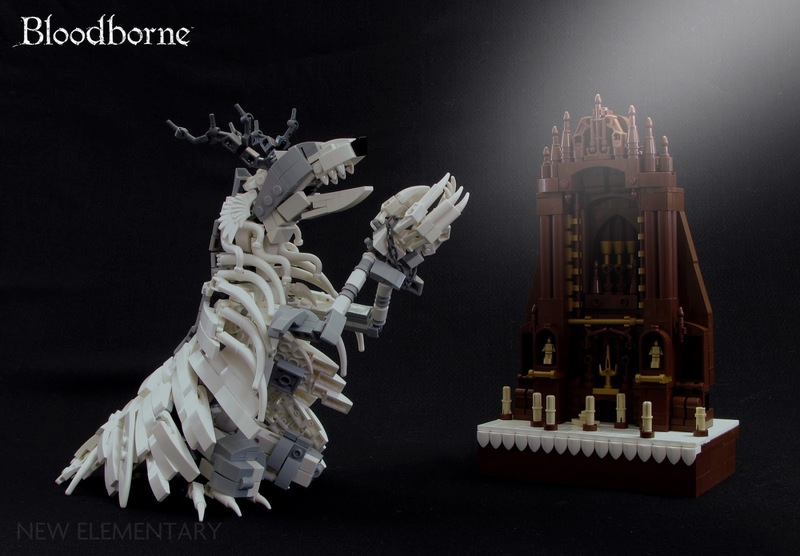 Ninjago model designers have really stepped up their game in interactive play functions, and I want to see if we can bastardize some of the novelties that come in LEGO Ninjago 70670 Monastery of Spinjitzu. 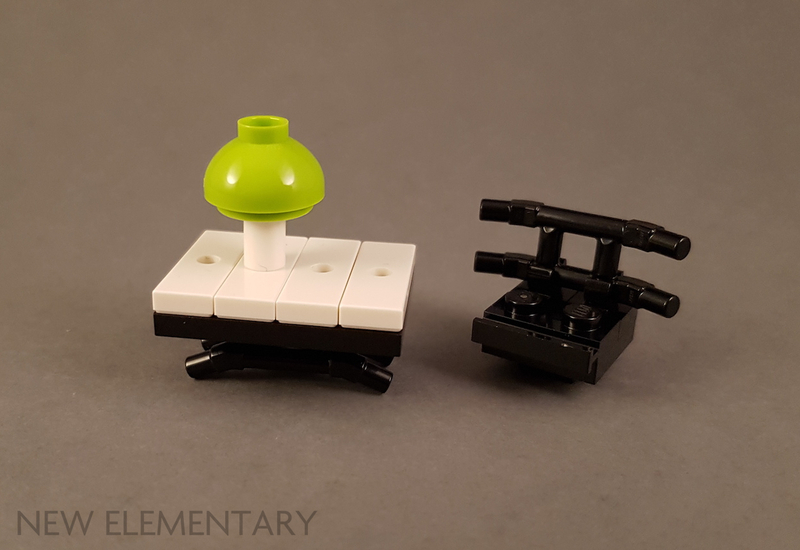 One of the recent features of several Ninjago sets are the hand-held minifigure turntables. 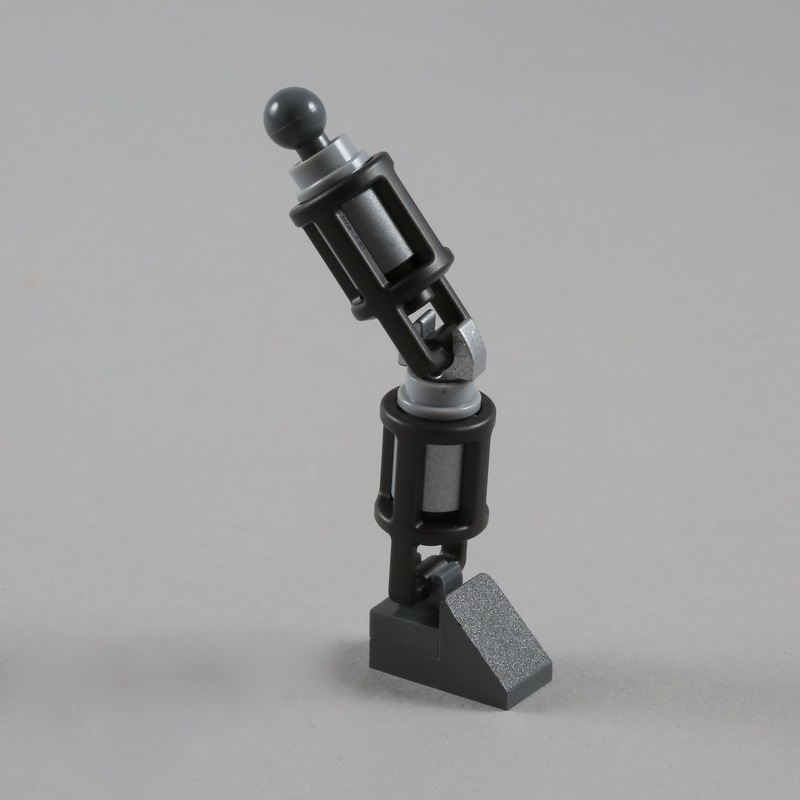 Presumably to promote interactive and social play, the resourceful designers came up with a brick-built contraption allowing players to rotate a minifigure character and fight an opponent by mimicking some impressive ninja moves. At last the time has come to reveal the most innovative uses of 'Ship Front 12X12X1 1/3' (Design ID 43979), as created by our readers. Our judges Sven Franic and Jonas Kramm had tough decisions to make, so without further ado let's see who their favourites were. We chose a difficult, controversial seed part for our latest LEGO® contest: 'Ship Front 12X12X1 1/3' (Design ID 43979). The idea was to BUILD using the seed part in an inventive way to FIX those negative opinions that this is merely a Big Ugly Ship Hull. Once again, New Elementary readers blew us away with their superb ideas. Our judges, Sven Franic and Jonas Kramm, have made the tough decisions but before we reveal the five winners tomorrow, we are showing you all 53 entries received – here is the final bunch. Missed part 1? Start here. 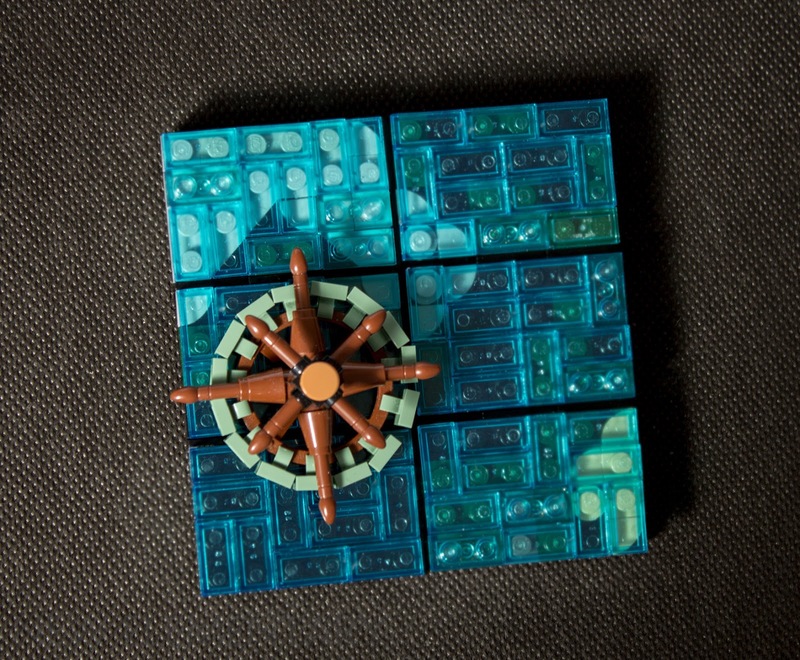 We chose a difficult, controversial seed part for our latest LEGO® contest: 'Ship Front 12X12X1 1/3' (Design ID 43979). The idea was to BUILD using the seed part in an inventive way to FIX those negative opinions that this is merely a Big Ugly Ship Hull (BUSH). Once again, New Elementary readers blew us away with their superb ideas. Our judges, Sven Franic and Jonas Kramm, have made the tough decisions but before we reveal the five winners, we will show you all 53 entries received over the course of the next few days. Missed part 1? Start here. I ordered six 43979 and started combining them in different ways. I liked the shape I got from combining two of the parts stud-to-stud. I started attaching bricks on the outside of the parts and this is the result. There are two engines with two 43979 each, and there are also two 43979 in the front of the fuselage. Once again, New Elementary readers blew us away with their superb ideas. Our judges, Sven Franic and Jonas Kramm, have made the tough decisions but before we reveal the five winners, we will show you all 53 entries received over the course of the next few days. 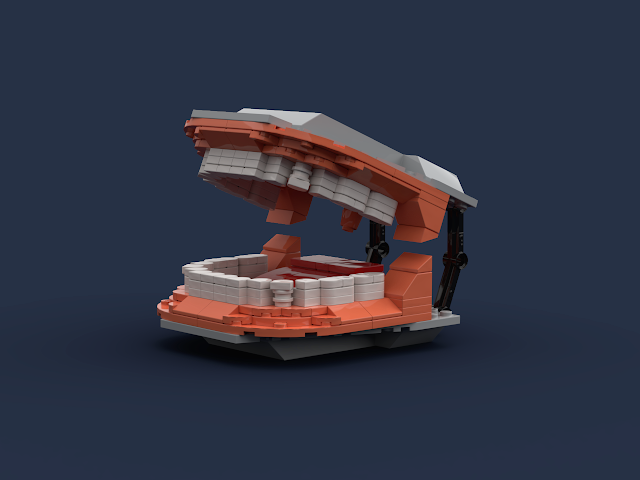 A model of the mouth and teeth like you would find at the dentist. 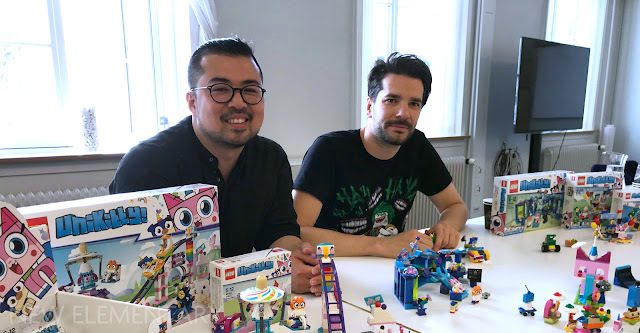 Billund, 9th April 2019: Twenty years ago, in a galaxy far, far away, the LEGO® Star Wars™theme began and has remained one of the most popular franchises ever since. 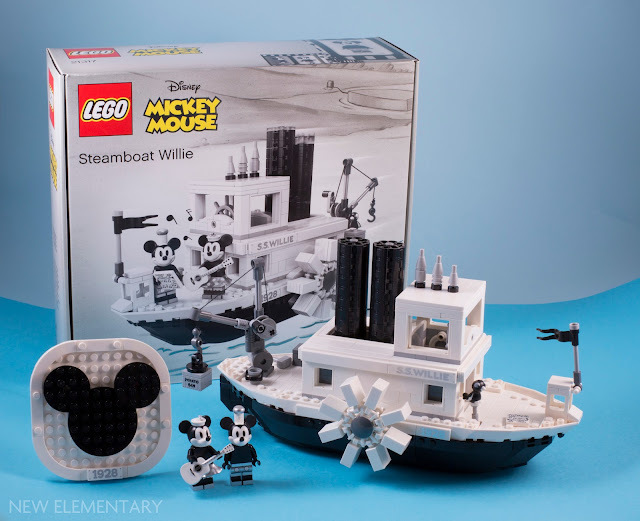 Today, the LEGO Group is celebrating the 20th anniversary of the much-loved theme which now includes around 700 different sets and over 1,000 minifigures. 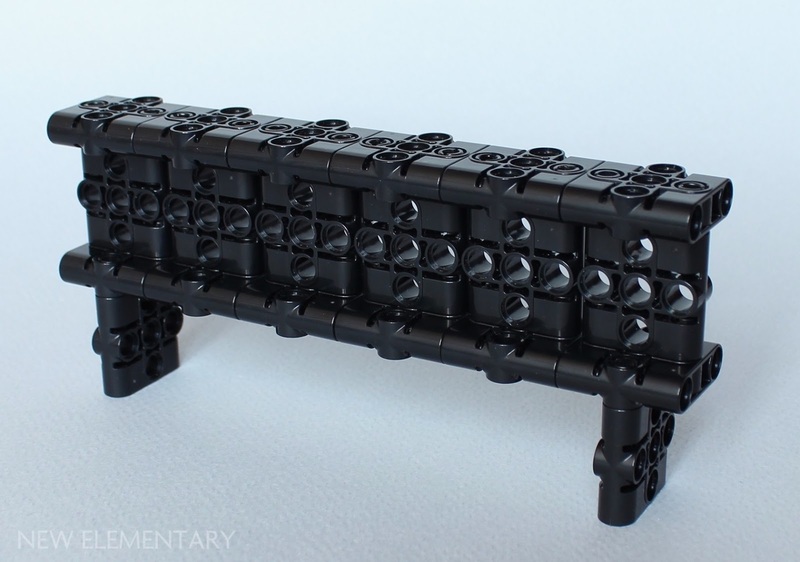 They've provided us with some fascinating pictures to share with you, so we thought it would be fun to look back to a time when Star Wars was the theme introducing new LEGO elements and breaking the mould. All images are © The LEGO Group unless otherwise attributed. The 1999 Jar Jar Binks minifigure was the first ever to have a unique LEGO head sculpt. These are a couple of prototype versions of Jar Jar's moulded head that show the development process. 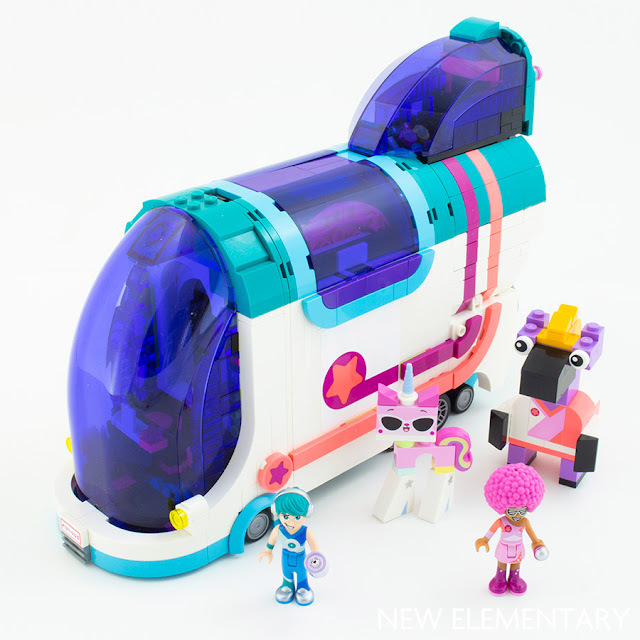 Yesterday LEGO Education announced SPIKE Prime, the newest product in the LEGO Education hands-on STEAM (Science, Technology, Engineering, Arts, Math) learning portfolio. 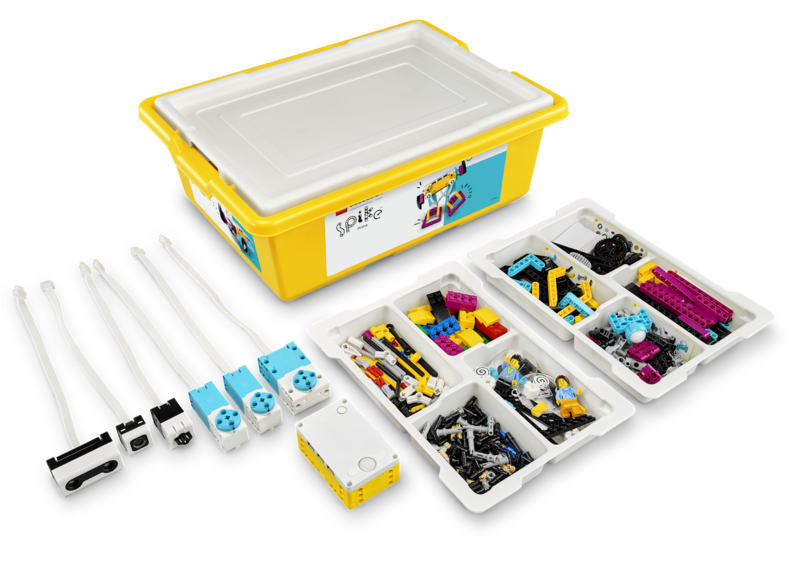 They tell us that SPIKE Prime brings together LEGO bricks, a programmable, multi-port Hub, sensors and motors all powered by the SPIKE app based on the Scratch coding language. 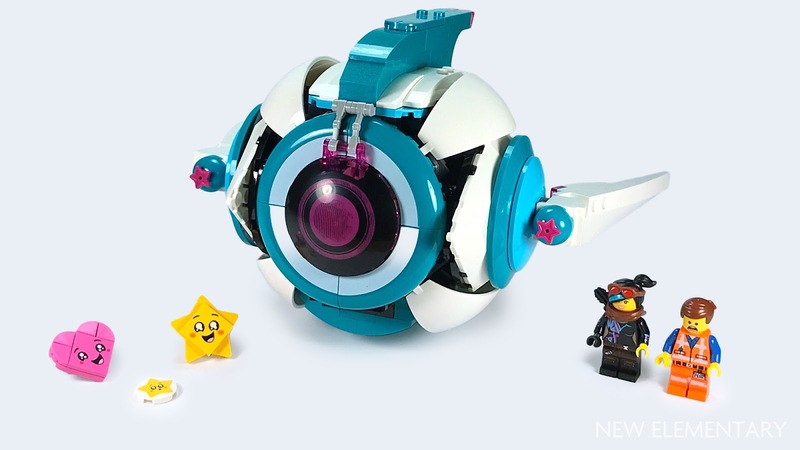 Of particular interest for New Elementary is that SPIKE™ Prime also brings new elements and we have been playing 'spot the new element' in some of the images and videos released by LEGO as part of their announcement yesterday. 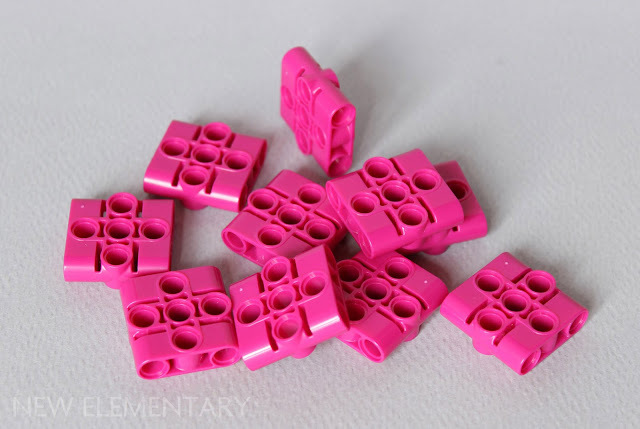 Yesterday Victor P discussed the new Magenta Connector Beam 1x3x3 that does not yet appear in any LEGO® sets. Today he reveals it also comes in Black, explores more of its potential and explains how he found it for sale on the LEGO website. Our friends at our favourite charity, Fairy Bricks, have let us know about an amazing fundraiser coming up. 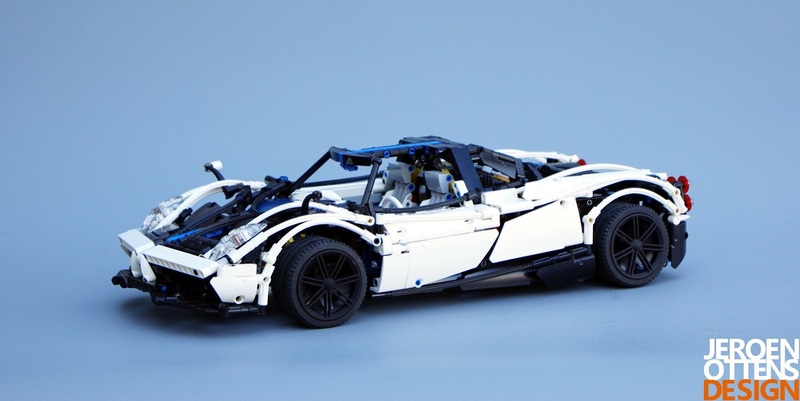 An online Catawiki auction of a Pagani Huayra BC recreated in LEGO® Technic by Jeroen Ottens is taking place so that Fairy Bricks can continue their work of bringing LEGO sets to children in hospitals. To tell us the unusual story of how this has come about, meet Grum. In 1983 at the age of 19 I had a motorcycle accident in which my neck was broken leaving me a C4/5 Tetraplegic. I was completely paralysed from the upper chest down with no use of my hands and very impaired movement of my arms. 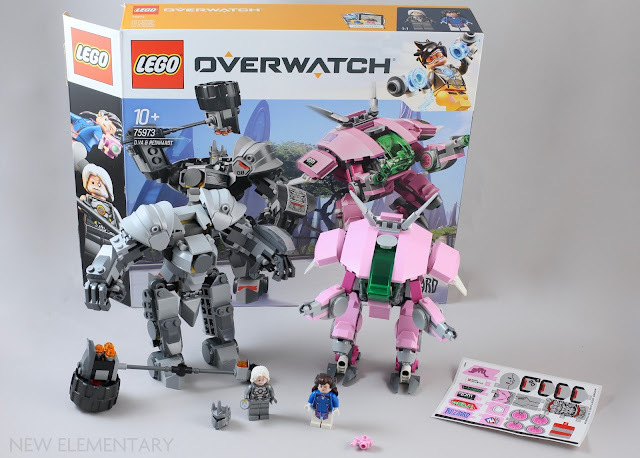 LEGO® Overwatch 75973 D.Va & Reinhardt is one of the smaller sets in the Overwatch theme. It features the two tank heroes D.Va & Reinhardt with an Overwatch minifigure character for each. 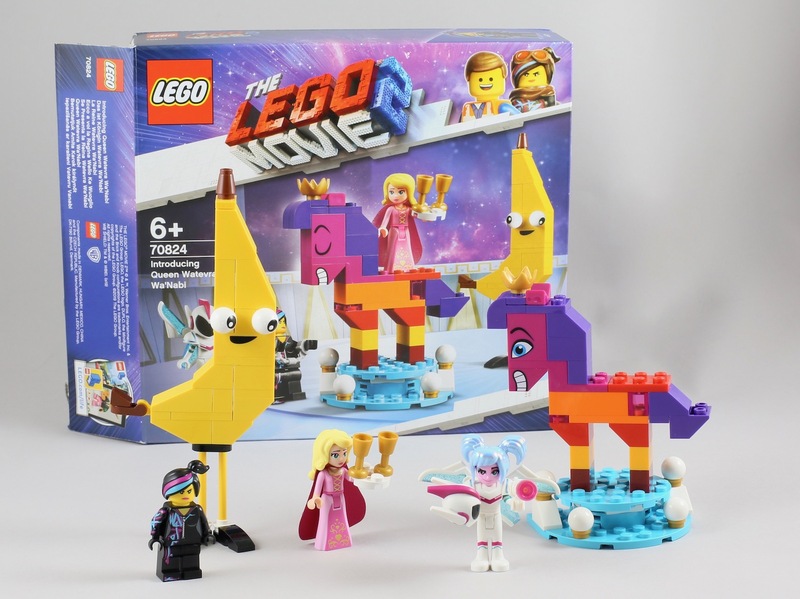 The set has 455 parts and has been available since Jan 19 priced at £34.99 / $39.99 / 39.99€. Lets take a look at those elements. 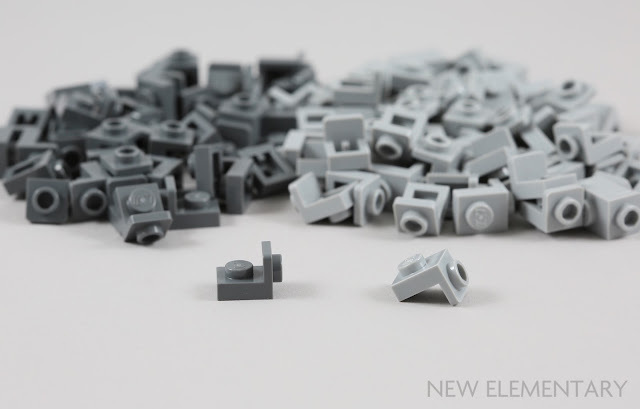 This set has three completely new elements that have new moulds seen for the first time in 2019, great news for all of us parts-obsessed LEGO fans. We're extending the closing date of our 'Build & Fix' LEGO® building contest! You now have until 11:59pm GMT on Monday 8 April 2019 to upload your entries. 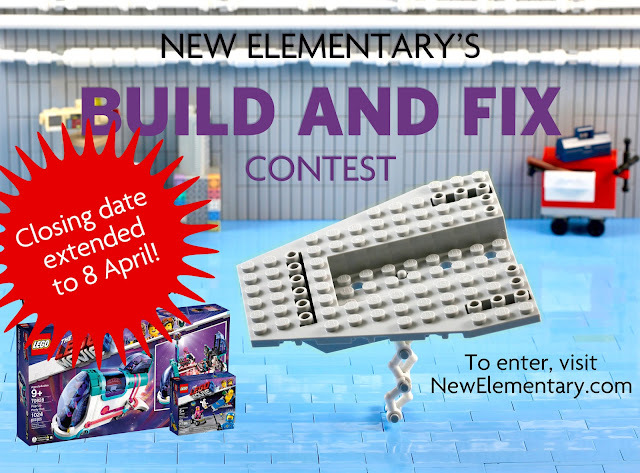 That's more than three weeks away, so there's even time to start your build now if this is the first you've heard of our competition – or if you have, create yet more entries! 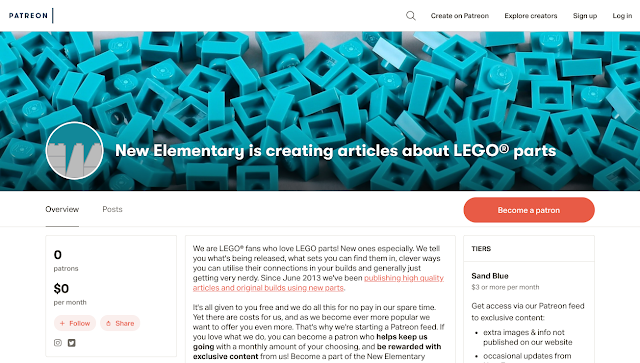 We've been working on an exciting new offering that's now live: the New Elementary Patreon page. This blog will continue as always, publishing for free the quality original content about LEGO® parts that you've come to know and love. Patreon is now your opportunity to support the work we do – and as a bonus, get access to exclusive extras every month on our Patreon feed. When we first saw the images of LEGO® sets due to be released in 2019, one new type of element caught our eye in particular. 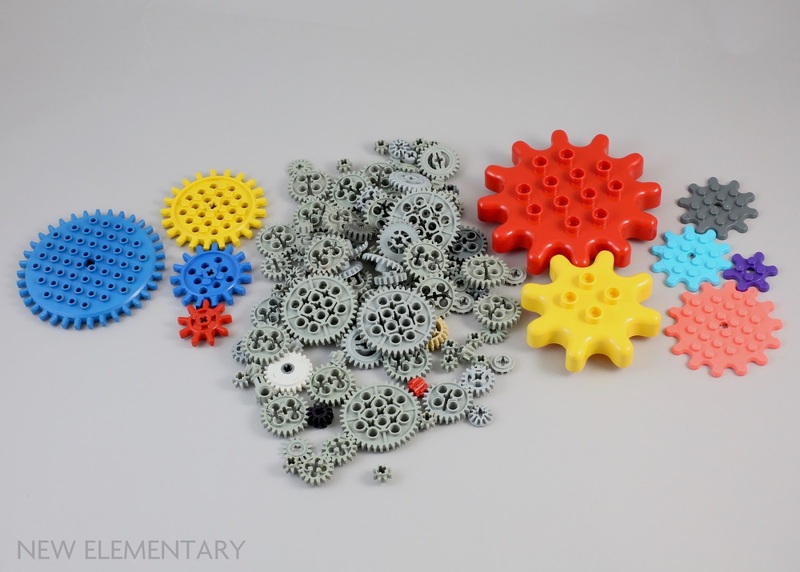 Because of their shape we affectionately called this group of elements 'splat' gears, but BrickLink call them Modified Plate with Gear Teeth / Flower Petals, and the official TLG name is Gear Wheel. 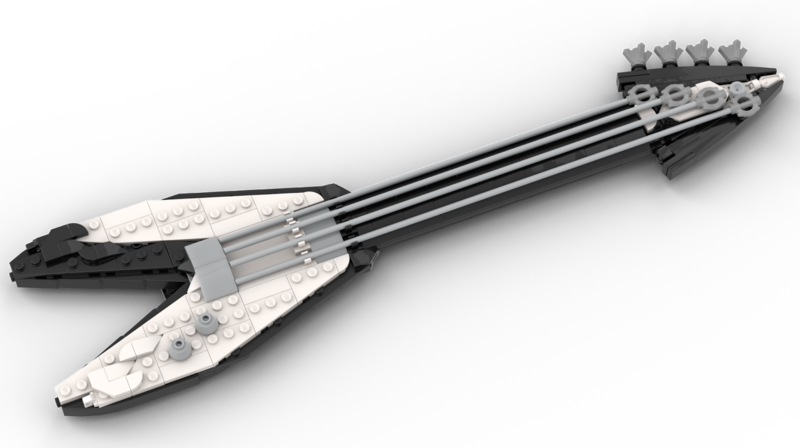 Today we take a closer look at these new elements and their place in the history of the LEGO gear. It turns out there is more to LEGO gears than just Technic; they have appeared in various guises over the years including DUPLO, Dacta and Samsonite. Before we take a look back at the ancestors, let's take another look at the new gears on the block. 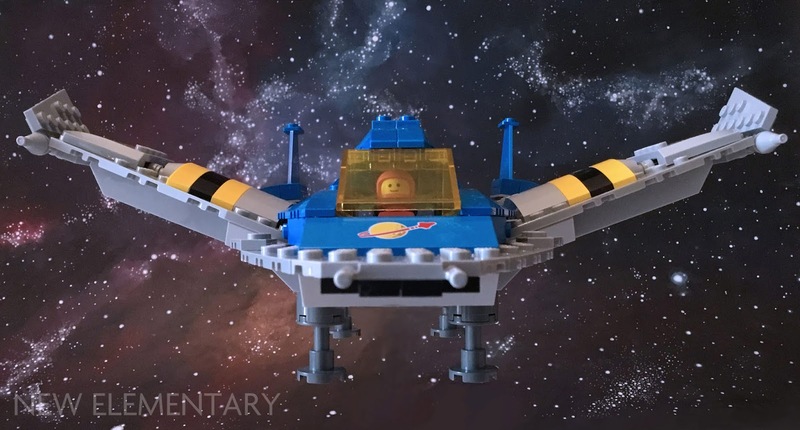 One of our New Elementary parts festival builders, Duncan Lindbo, casts his mind back to an old LEGO® element that may well be familiar to fans who were youths during the 1990s. Remember the Insectoids? Well, Duncan does. For many AFOLs, the late 1990s were a low point in set design. They think there were too many overly specialized parts, and they’re not entirely wrong… but because of that, there’s a lot of interesting parts that tend to get ignored by the AFOL community. Today, we’re going to explore a couple of Transparent Blue [TLG]/Trans-Dark Blue [BL] elements from the Insectoids line (1998-1999). Now, although Kev has built us a spaceship don't think that this is solely a spaceship-building contest. Indeed we are primarily looking for inventive uses of this new element, so while spaceships are of course welcome you may prefer to build something quite different. I was lucky enough to get The LEGO® Movie 2 set 70821 Emmet and Benny's ‘Build and Fix' Workshop before Christmas. I immediately loved the new hull part (Design ID 43979) and ordered a couple extra of them as soon as I could. Affectionately, I’ve been thinking of this piece as Big Ugly Space Hull (BUSH), which amused me. Sorry. 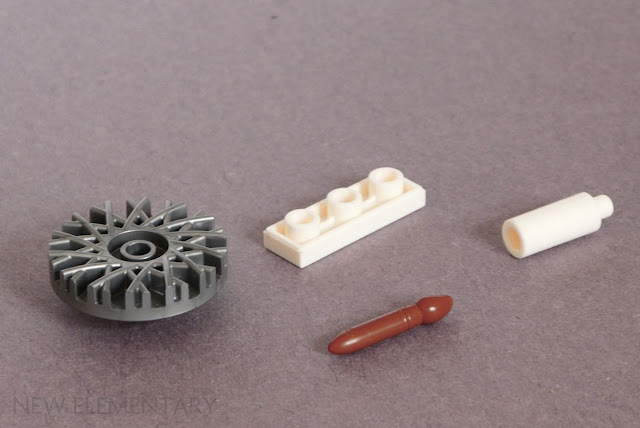 I had been tinkering with a spaceship design using 43979 when I saw New Elementary post the “Build and Fix” competition calling for models that used this new element as a seed part. This is a very quick, very simple model using three of them to show how cool the BUSH is (for Classic Space enthusiasts at least). 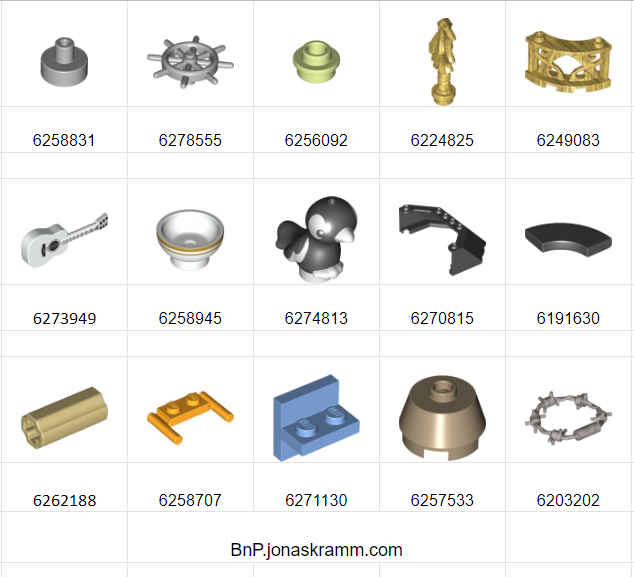 You may recall Jonas Kramm has decided to curate monthly lists of cool parts available from “Bricks & Pieces”, The LEGO Group’s service for individual new LEGO® elements, to save you checking the price and availability of the wanted pieces one by one. He's so nice! Here is his February update. 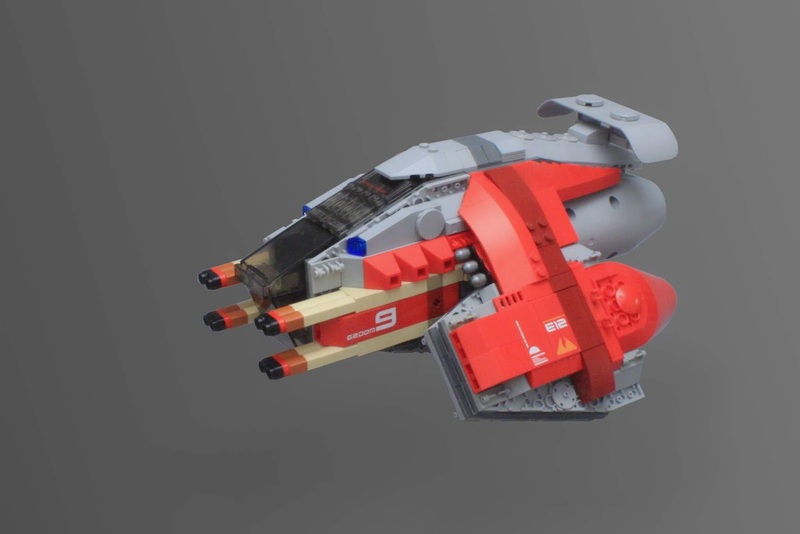 In his second post, Russian builder Peter Guz showcases two more fantastic creations using the LEGO® elements we sent him for our parts festival. When I saw candle parts, I imagined long and pale creepy fingers. I thought, who could have such fingers? I love the PlayStation game Bloodborne so much, and there are a lot of creepy creatures with cool designs in it. Vicar Amelia is one of the bosses, and the last high cleric of the Healing Church. She could not resist the curse of the old blood and became a beast. 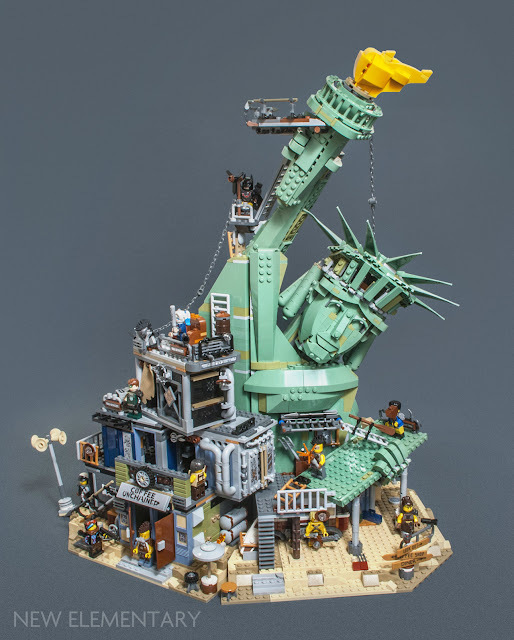 We are continuing with our ongoing LEGO® parts fest and welcome our penultimate guest builder, an extraordinarily talented young builder from Russia, Peter Guz. We are huge fans of Peter's work, but even we did not anticipate the creations Peter made in a short space of time with a parcel of elements we sent. Peter is a builder of few words but his images speak for themselves. 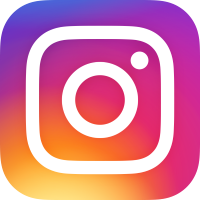 This is the first of two posts by Peter. “Lanterns have to light” thought I at first. 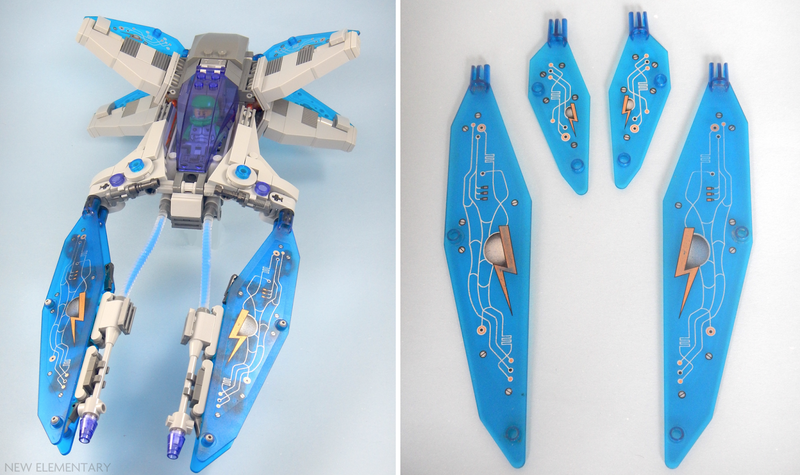 And then I found the mecha leg Elspeth made using a Lantern in the blog post Enlightening Elements. I realised that I must complete it and build a light-up Lantern mech using Black Lamp, No. 1 (Element ID 6227901 | Design ID 37776). The LEGO Group have just announced the next car in the LEGO® Creator Expert series 10265 Ford Mustang, based on the 1967 Fastback and will be racing into LEGO stores and online from 1 March 2019. It has 1,471 elements and priced US $149.99/€129.99/£119.99. Jonas Kramm gets into gear to take a closer look under the hood of this 1960s American muscle car. 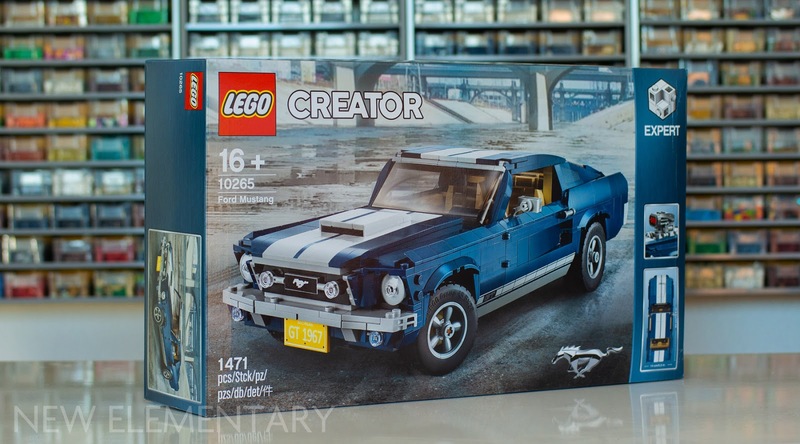 The LEGO Creator Expert theme’s new addition to your garage is a classic 1967 Ford Mustang. It’s a dark blue beast that comes with two play features and - even more importantly – includes two new moulds and more delicious recolours. 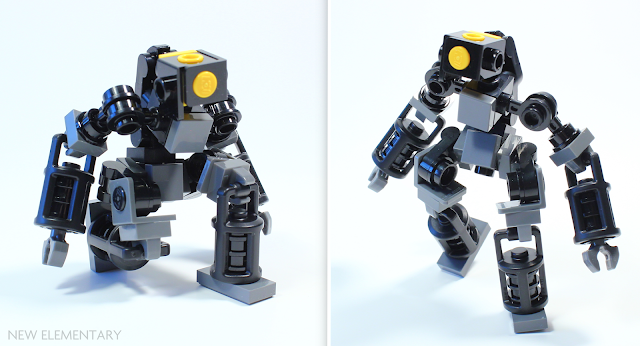 The next builder in our LEGO® parts festival is Devid VII, an Italian builder whose work I have admired for sometime, especially his mecha creations. Devid showcases a variety of ways to use our chosen parts festival elements, including this fantastic mecha just for us! 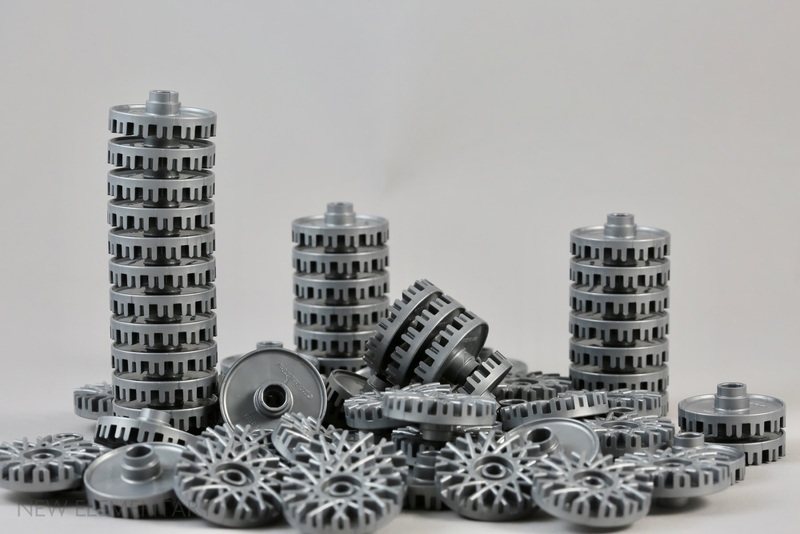 As our parts festival nears its end, there are still a couple more LEGO® builders to come but two builders we have already featured sent me some further ideas using Metallic Silver [TLG]/ Flat Silver [BL] Hub Cap, dia. 24, No. 1 (Element ID 6227156 | Design ID 37195), an element only found in one set at present, 10262 James Bond Aston Martin DB5. So I thought both Sarah Beyer and Ralf Langer could share a hubtastic post, starting with Sarah. When I first saw the hub cap my instant thought was "skyscraper". The silver colour and round shape remind me of modern cylindrical skyscrapers. The pattern adds an interesting aesthetic dimension and, seen from the side, makes excellent nanoscale windows. However I didn't have a clear idea about the surroundings and lay the concept to one side. Later on, when I was sorting loose parts, I came across the hub caps again. 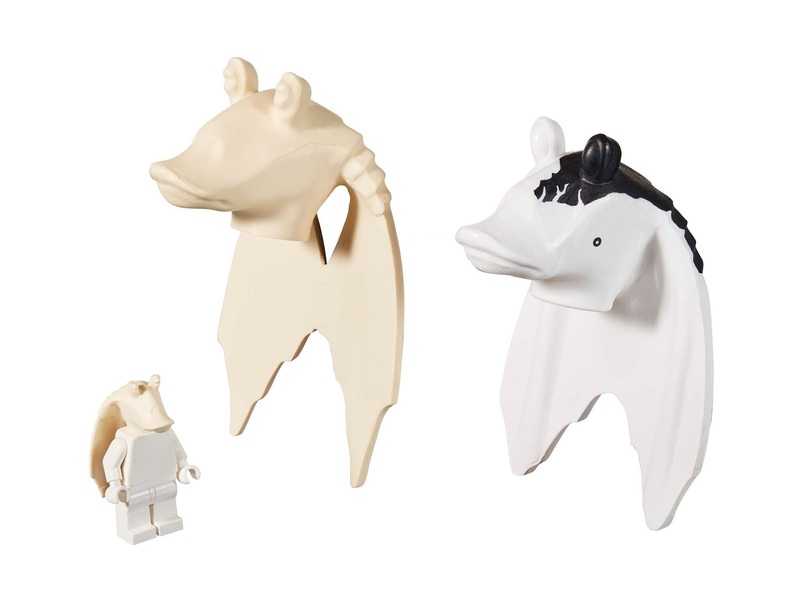 We're always excited to receive new sets from The LEGO Group but this supplementary set was definitely one of the stranger offerings... so after scratching our heads we challenged a man who will seemingly face any LEGO® challenge, Tim Goddard (Rogue Bantha), to actually build something with them! The LEGO® Xtra line is a very welcome one, offering a chance to purchase some useful parts at a reasonable price. 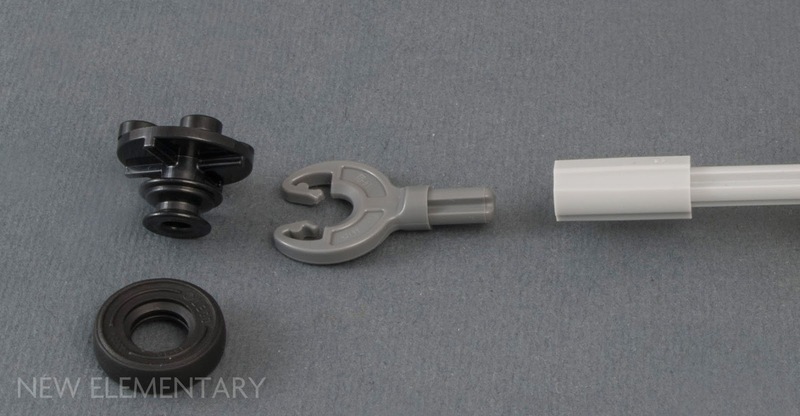 The Xtra set 40312 Streetlamps released last year contains particularly great parts such as the new lantern (Design ID 37776). I was sent three copies of the new 2019 set 40341 Sea Accessories to, um, review I guess. 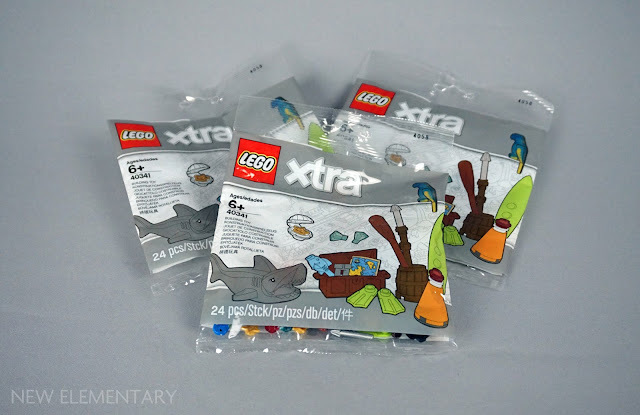 There is something a bit fishy about this Xtra set though; the parts are not quite so useful as those found in other sets in the range and I am not sure I would be tempted to buy a copy myself. Occasionally we see an article about LEGO® parts that we love so much, we republish it here on New Elementary. (With permission, naturally!) Well our good friend Huw Millington of Brickset wrote this great rundown about the humble Technic pin and we definitely didn't want any of you to miss out. 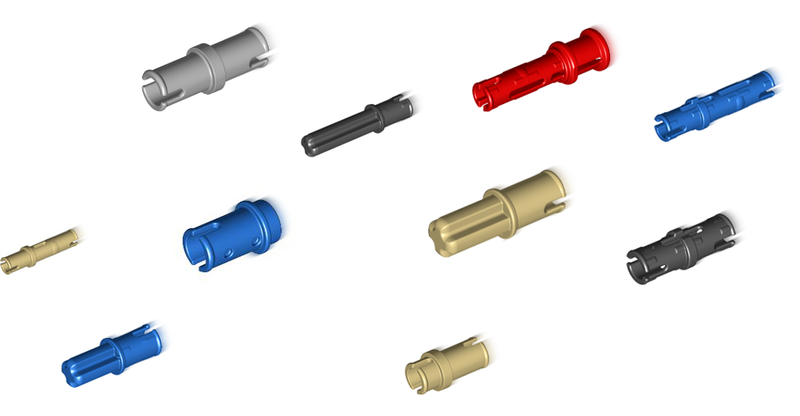 I can't quite believe I'm writing an article on such a seemingly mundane subject as the history of Technic pins but, given the popularity of last week's article about one such pin, perhaps there'll be similar interest in this one too. 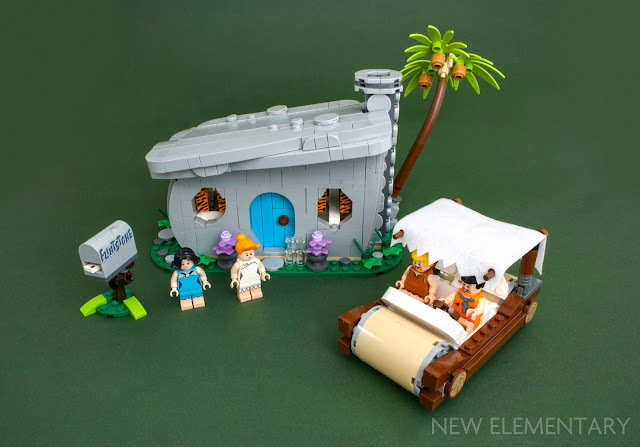 Sven Franic reviews LEGO® 21316 The Flintstones for us today but will it be a yabba dabba doo or a yabba dabba don't? 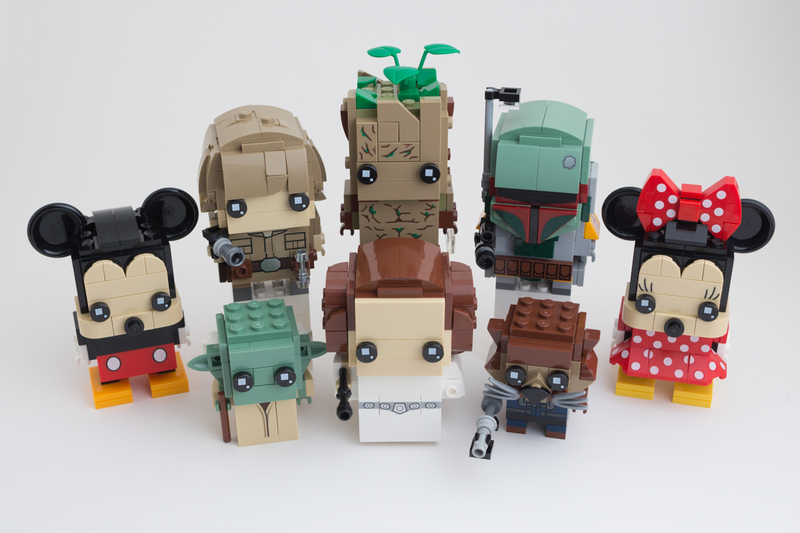 The set is available to VIPs this Wednesday 20 February 2019 with 748 pieces, four minifigures and retails for US$59.99/ CA$79.99/ 59.99€/ £54.99/ 549DKK/ AU$99.99. LEGO Ideas is a constantly evolving system, but there are a couple of individuals who seem to have cracked the magic formula. This is fan designer Andrew Clark’s second Ideas submission to make it all the way to store shelves after 21304 Doctor Who in 2016. 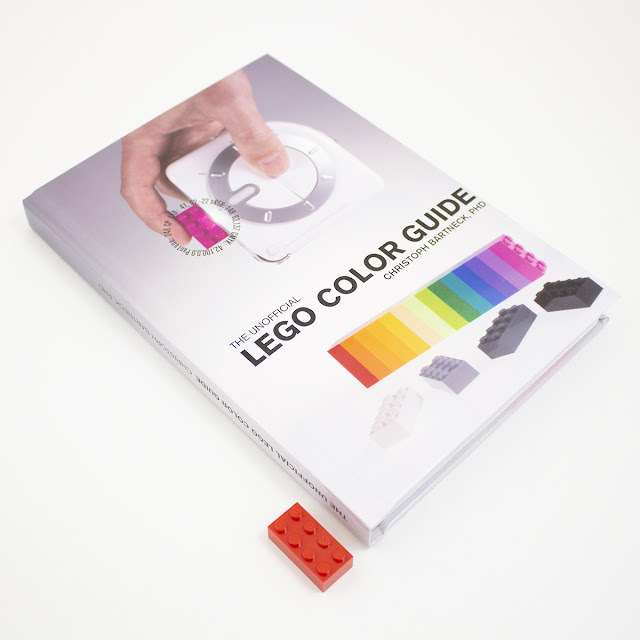 We love highlighting new elements here at New Elementary and one of our regular contributors, Jonas Kramm, has recently started doing a really useful thing for LEGO® fans that we wanted you to know about: curating lists of the best new and recoloured parts he finds on on Bricks & Pieces. We asked him to introduce it to you. 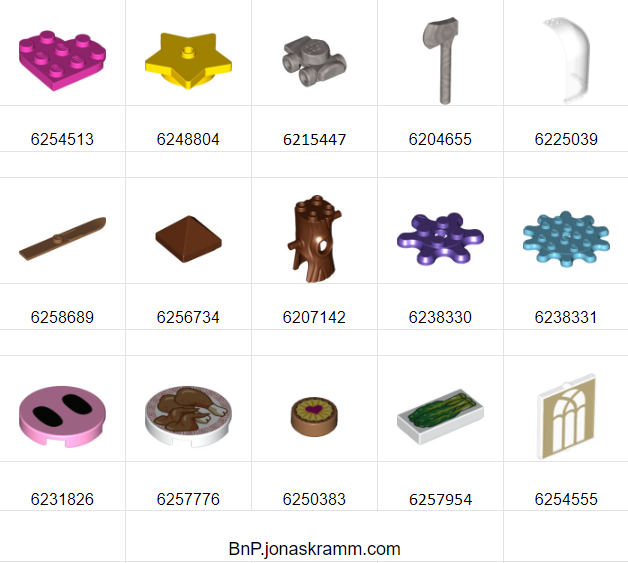 The LEGO Group’s own service “Bricks & Pieces” is one of the sources to get your hands on individual new LEGO elements. It’s very up to date, not limited in quantities and has reasonable prices. But the main hindrance is that checking the price and availability of the wanted pieces one by one takes forever. The next builder in our parts fest is Ralf Langer from Germany. 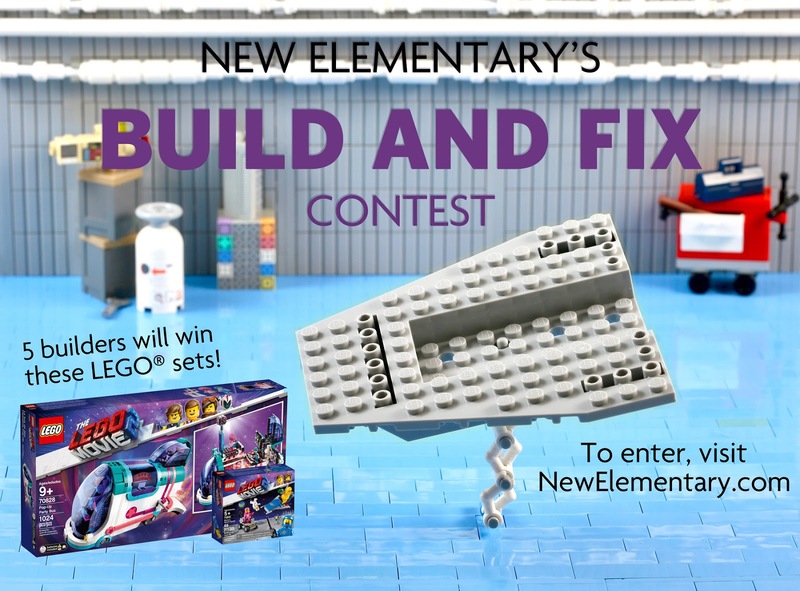 He previously wrote about integrating LEGO® Modulex bricks in two posts for New Elementary last year. Ralf has a real knack for innovative parts use, sometimes illegally, but always with the potential for stunning results. If you haven't seen his builds before then you are in for a treat. I started off with Reddish Brown Mini Brush (Element ID 6046576 | Design ID 15232), quite a versatile part. It is not as versatile as it could be as it doesn't fit in a recessed stud because of its tapered ends. Our next builder is Sarah Beyer from Sweden. We have been admiring her creations for some time as she builds beautiful homes with LEGO® bricks, complete with detailed interiors. We sent Sarah a parcel containing new parts to see what should would build. My first reaction when I saw the parts sent to me, was that they would constitute great furniture material. I mostly build modern furniture for my MOCs, but these elements fit in both retro and contemporary surroundings. 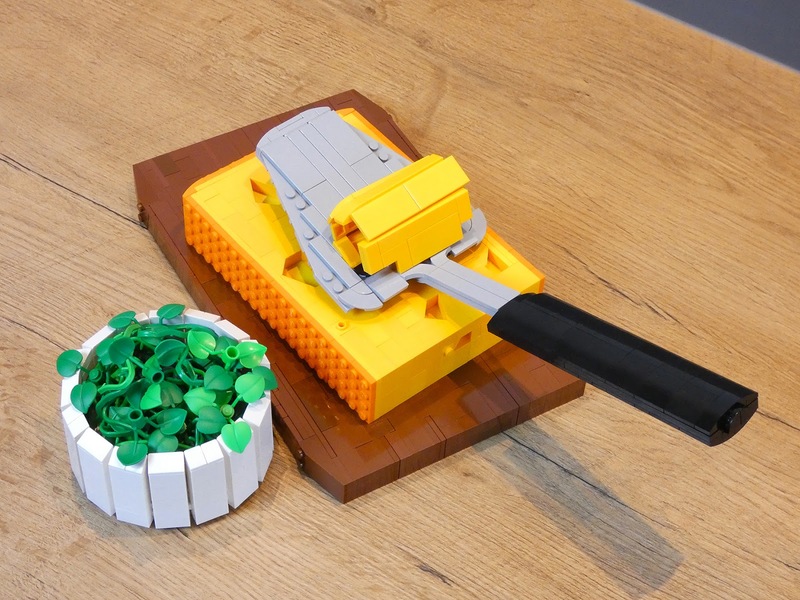 The next builder in our LEGO® parts festival is Simon NH, a talented guy from Austria who is best known for his clever use of parts, especially novel ways to create textures and patterns. Let’s start off with a fun little build featuring the four new elements shown: Metallic Silver [TLG]/ Flat Silver [BL] Hub Cap dia. 24 NO. 1 (6227156|37195) , White Tile 1X3 Inverted W/ 3.2 Hole (6223491|35459),White Candle No.1 (Element ID 6234807 | Design ID 37762) and Reddish Brown Mini Brush (6046576|15232). So, round 2 began after receiving a load more parts from New Elementary. Whilst this image isn't all of the parts sent, it is all of the parts I included in this lot of builds. One of the 2018 LEGO® elements that we sent to builders to investigate was the new minifigure neck bracket with four bar attachments (Element ID 6215458 | Design ID 36452). One of our talented buiders, Luc Byard, used it to create a walker mech and has now come up with another interesting creation based upon this unusual part. This build came out of looking for a way to connect the two shafts that are at 90° to each other. ‘Easy enough,’ I said to myself but the placement is not as convenient as I expected. It’s a tight fit and I think I’m pushing tolerances but I managed to secure them. LEGO® Technic 42079 Heavy Duty Forklift retails at £54.99 / US$69.99 / 49.99€ but given this is a release from summer 2018 perhaps you'll now find it cheaper at Amazon USA or Amazon UK. However, is it worth forking out money to pick this one up? Ryan Welles investigates, without resorting to awful puns. Forklifts were a popular subject for the LEGO® Technic line in the days were there were only studded building techniques. When the studless era began, forklifts became less common. 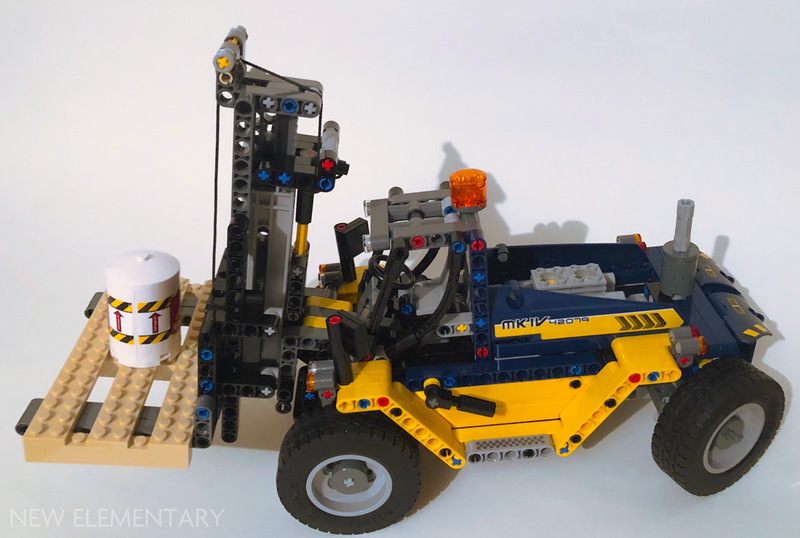 There was a small one in 2003 (set number 8441), a rather impressive forklift in 2005 containing 729 pieces (set number 8416) and yet another mini-set ten years ago (set number 8290). But that's about it. It has been at least 15 years since a big or even medium sized forklift hit the shelves. With set 42079, the smallest of 2018's Technic summer wave line-up, the hiatus came to an end. But does it make a good purchase for or is it better to save your money for the 2019 sets? Following his review of the five new LEGO® Speed Champions sets for 2019, Ben Davies (ProfessorBrickkeeper) now examines the new, recolored and printed parts you'll find in them. 75890 Ferrari F40 Competizione, 75891 Chevrolet Camaro ZL1 Race Car, 75892 McLaren Senna, 75893 2018 Dodge Challenger SRT Demon and 1970 Dodge Charger R/T, and 75894 1967 Mini Cooper S Rally and 2018 MINI John Cooper Works Buggy are all now available to purchase. 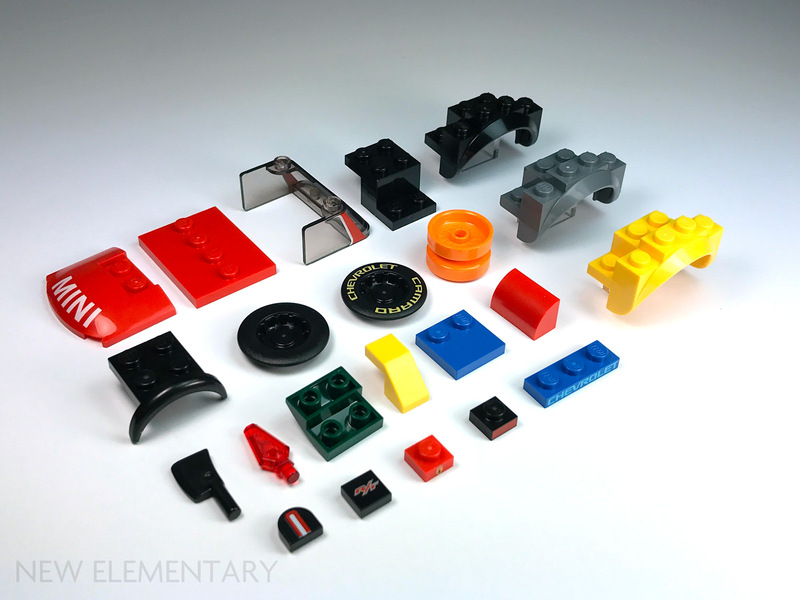 Across the new assortment of Speed Champions sets, a whopping twenty-two new elements can be found. 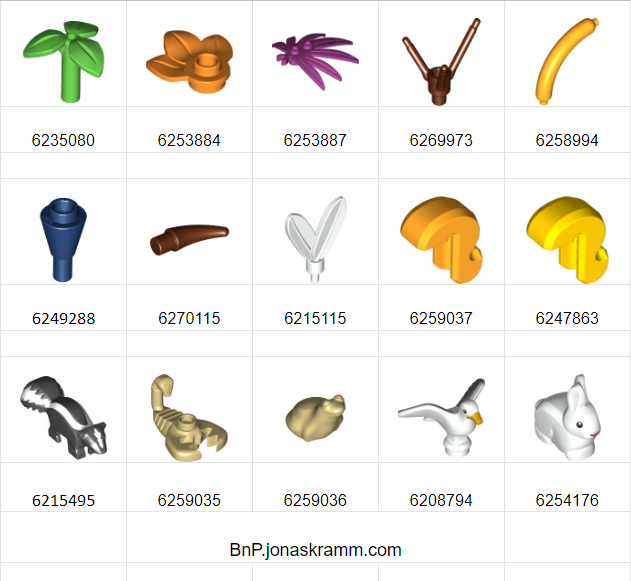 These include twelve part recolors, eight parts with new decorations, and two completely new part designs. After taking a look at the complete sets in part one of my review, I am turning my attention to all of these new elements, and highlighting some of the more notable ones. 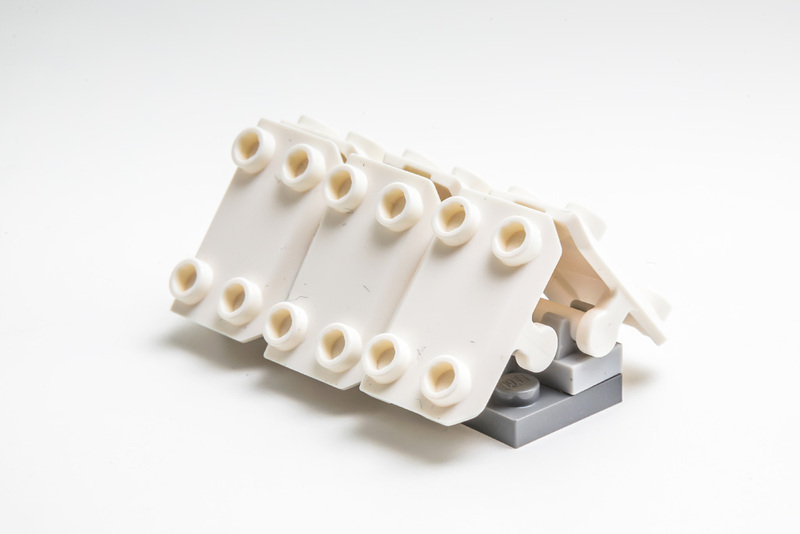 Two new part designs for the purpose of vehicle building have been introduced in the the latest wave of Speed Champions. These include a slim new wheel arch and a hubcap element which extends to cover the edge of the tire. New year, new LEGO® sets and we also welcome a new contributor, Ben Davies (ProfessorBrickkeeper) who over the course of two posts will take a look at 75890 Ferrari F40 Competizione, 75891 Chevrolet Camaro ZL1 Race Car, 75892 McLaren Senna, 75893 2018 Dodge Challenger SRT Demon and 1970 Dodge Charger R/T, and 75894 1967 Mini Cooper S Rally and 2018 MINI John Cooper Works Buggy. As is often the case at New Elementary, Ben chose not to apply the stickers. If you want to see how the cars look stickered, check out the reviews at your other favourite LEGO fan sites! 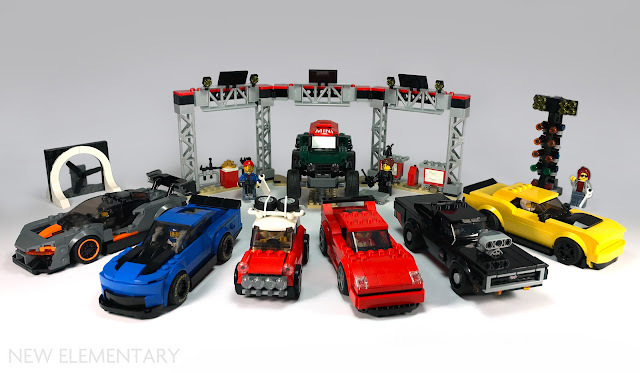 Since the theme’s introduction in 2015, LEGO® Speed Champions has continually offered a wide variety of licensed vehicles to autophiles and LEGO fans alike, ranging from consumer vehicles to racing cars. For our final study of unusual new Unikitty elements, it is time for Design Plate 1X1, No. 1 (Design ID 35463) or, by BrickLink’s more descriptive terminology, Tile, Modified 1 x 1 with Tooth / Ear Vertical, Triangular.